When a user creates a new account in Facebook, normally the "Terms of Service" part or "Statement of Rights and Responsibilities" part is overlooked or not read fully. Without reading the details mentioned in the TOS, you accept it and proceed further for completing the steps of creating a new account. Later on if something which is not acceptable by Facebook guidelines is done, your account gets banned due to some reasons. In such cases, you cannot remain immune from getting banned. The main reason behind it is breaking the laws as mentioned in any social media site. 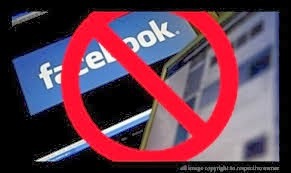 You may not know for which reason is your account banned by Facebook or any other social media. Hence always keep yourself updated with the "Terms of Service" part in Facebook.